Visit the CATS table at the Long Island Library Conference: Reach for the Stars on May 4th. The CATS Committee will present a program at Session I. Topic: The State of Technologies in Libraries. 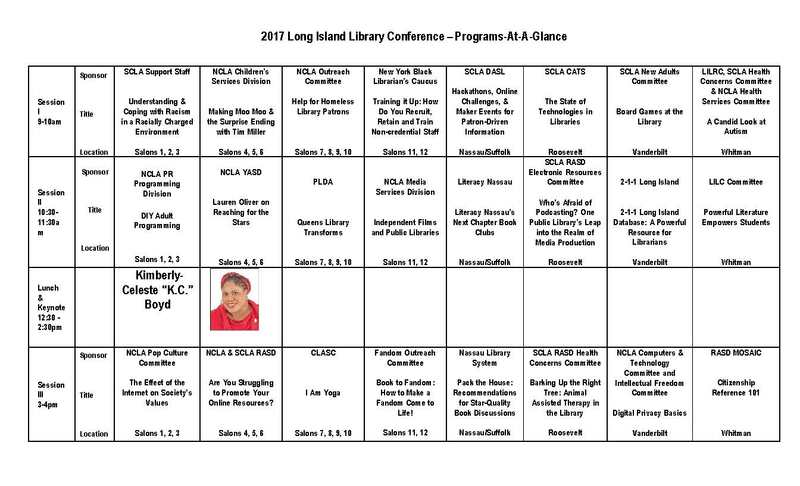 This entry was posted in Long Island Library Conference on April 27, 2017 by CATS. Thursday May 11th, we are having our second joint Nassau/Suffolk technology round table. It was a great success 2 years ago so we thought we would bring it back. Bring your questions, share your stories and see how they do it on the “OTHER SIDE” of the border! Coffee, tea and refreshments at 9:30 and 10am for the meeting. Whether you are an Information Technology Professional, Librarian, Clerk or a person interested in technology, consider joining us at the Half Hollow Hills Community Library in Dix Hills. This entry was posted in Technology Information Forum (TIF) on April 18, 2017 by CATS.